The latest wedding cake trends brim with creativity. 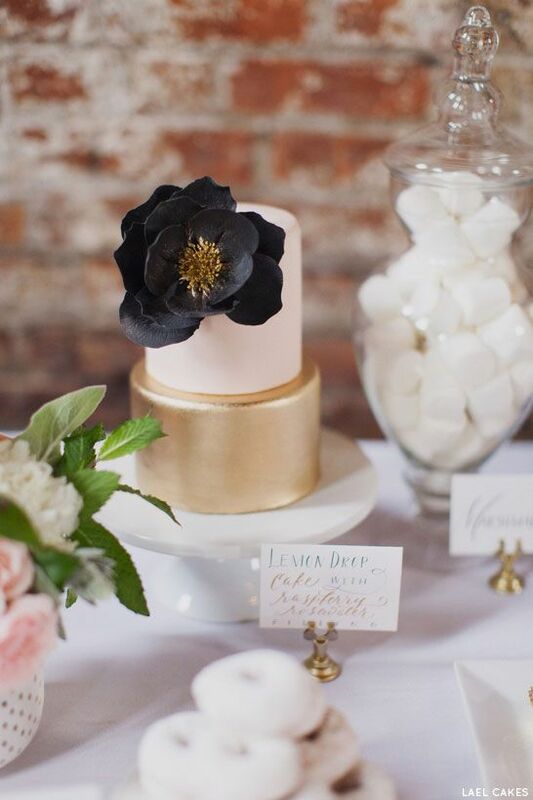 We rounded up our favorites and most unique cake trends to surprise your guests with style. Stunning drip wedding cake with macaroons and figs by Cordy’s Cakes. Are you drooling yet? 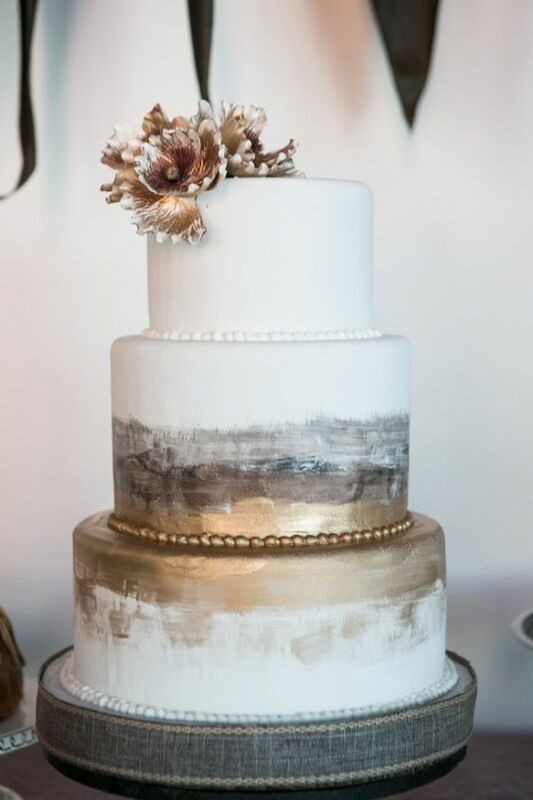 Only a few years ago, we were talking about metallic, hand painted and half-naked wedding cakes. Well, cakes have come a long way since then and they are getting more appealing, more artsy while looking even more amazing. There’s a return to the natural look with the drip-effect cakes and the geode and marbled cakes. Another trend that separates these cakes from the ones from past years is the size. We used to see more of the classic three tiered cakes but as the guest list size shrinks, so do the cakes. Be it single or two-tiers, these cakes are true masterpieces. 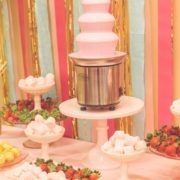 Check out the latest wedding cake trends. Time to pick your cake! Chocolate ganache has taken over this year’s wedding cakes. 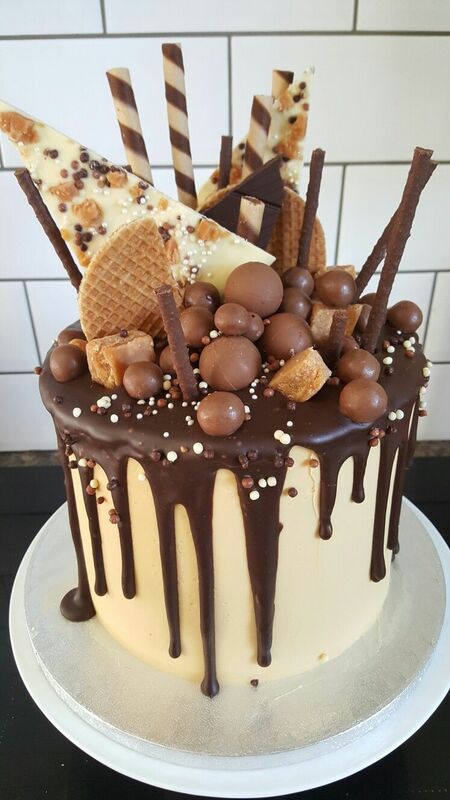 Wherever you turn there’s a photo of a tempting drip cake. 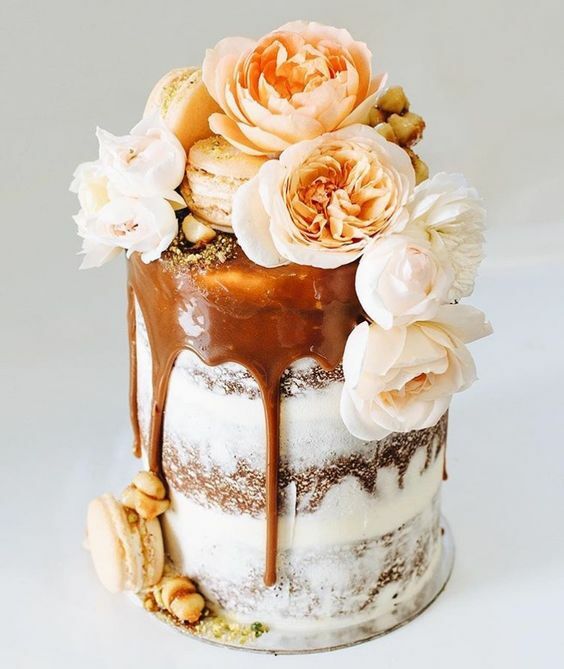 Drip-effect cakes are made by drizzling a glaze or ganache over the top of the cake so that it trickles over the edge and the drops fall alongside the sponge cake. By the way, ganache is a delicious mixture of melted cream and chocolate. Obviously, the drip cake looks beautiful and will make your mouth water. The latest rage is decorating these cakes with macaroons, fruits, flowers, candy, and even ice cream cones! 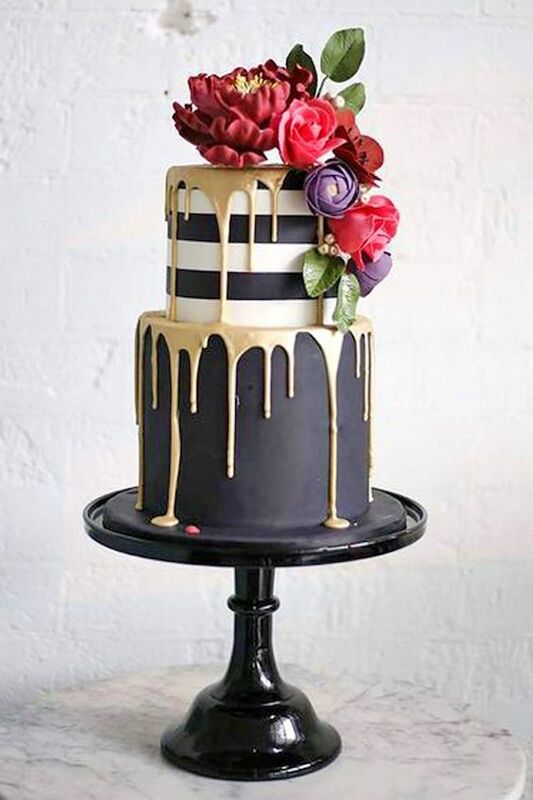 Modern drip wedding cake trends. 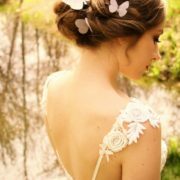 Stunning and perfect for an intimate wedding or a very daring bride covered with flowers and macarons. 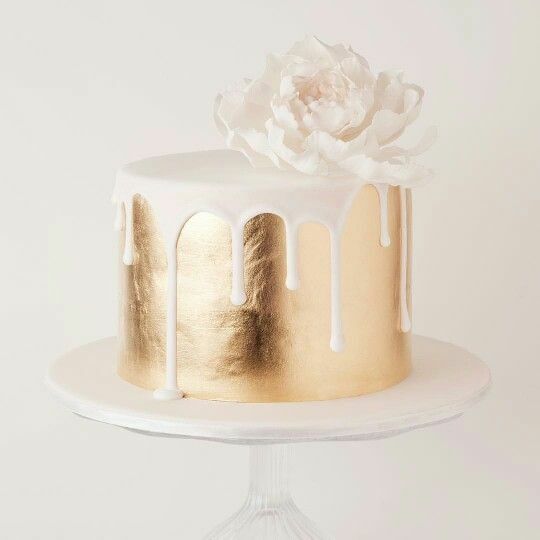 Simple and luxurious gold leaf and white chocolate drip-effect cake. 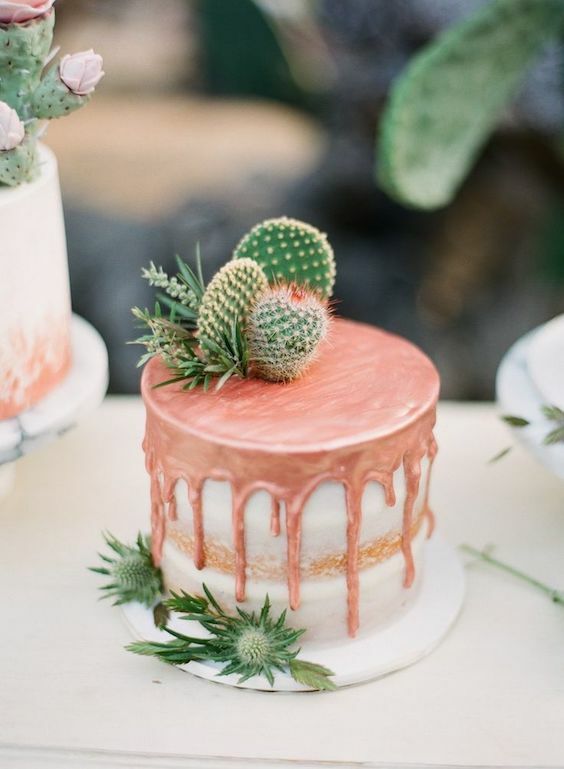 Two of the latest wedding cake trends: Metallic pink drip cake with a cactus topper for an intimate Boho wedding. If there’s a color that makes a bold statement, that is blue. More specifically, navy blue. Mix it up with white, gold or silver to adapt it to any wedding theme. Let your cake be the something blue at the wedding! Blue marble and gold metallic cake by The Wedding Cake Boutique. 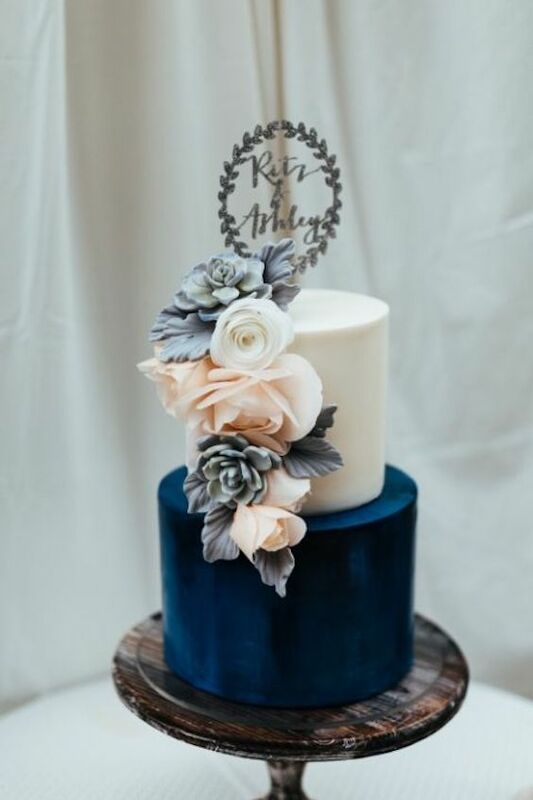 If you don’t dare to go full blue, how about a raspberry filled gold and white cake with a gorgeous blue flower? Lael Cakes. Elegant and beautiful rosettes and lace made of sugar add texture and dimension to the cake this year. Cover the whole cake with these sugar-made roses or balance a textured layer with a different (but very trendy) cake decorating technique. These romantic and floral wedding cake trend will fit any wedding theme. Another one of the latest wedding cake trends are rosettes, sugar flowers and dragees. 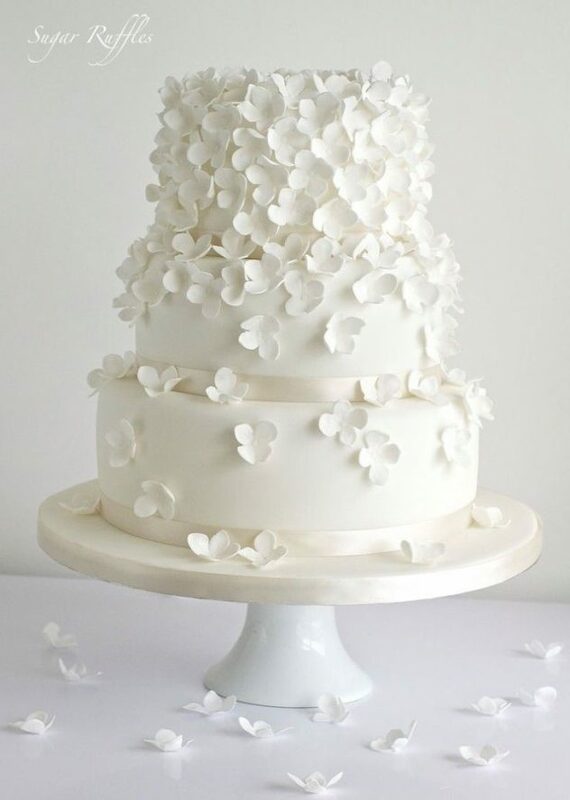 Delicate white on white wedding cake with textured white petals, and yes, they are edible! 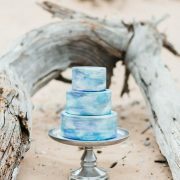 Marbled Wedding Cakes: Hooray for Stones and Geodes! 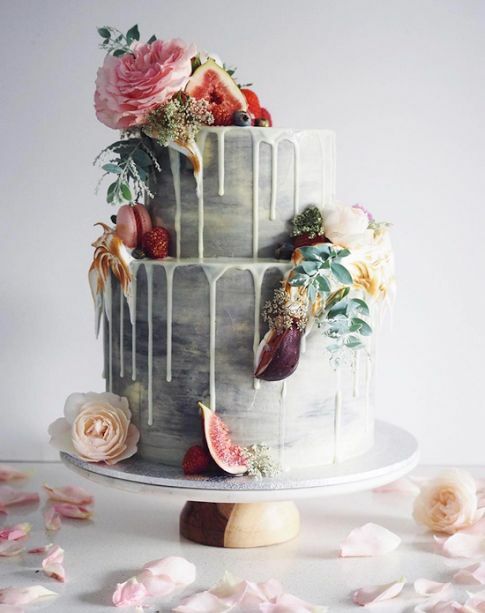 Marbled cakes have been around for a while but these wedding cake trends are different. The new marble icing effect features tiers with icing in the same color family or in contrasting colors making them more realistic. They also mix gold leaf tiers. Impressive but still contemporary. 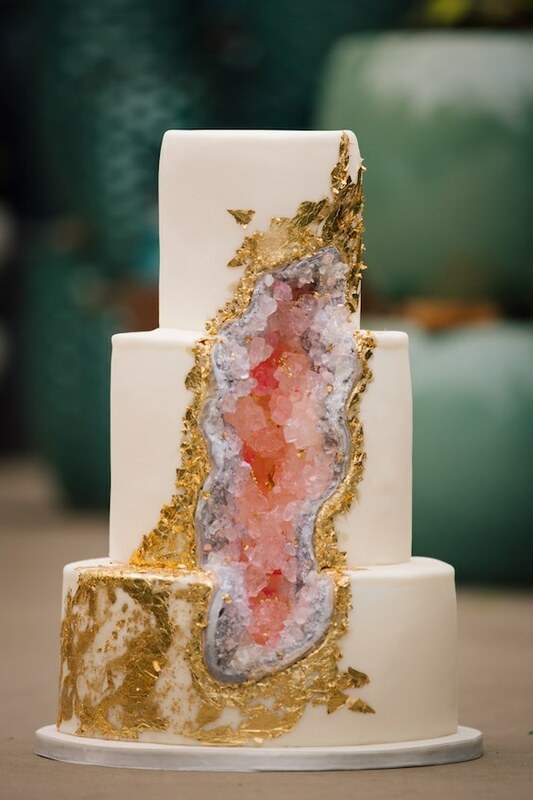 Continuing with the mix of geology and baking, Geode cake designs using rock candy will definitely surprise your guests. Rock candy takes weeks and even months to form and the results are amazing. After all, who doesn’t like shiny stuff? Stunning cake reveals an edible Amethyst Geode beneath Its surface. The gold leaf decor makes it stand out even more. 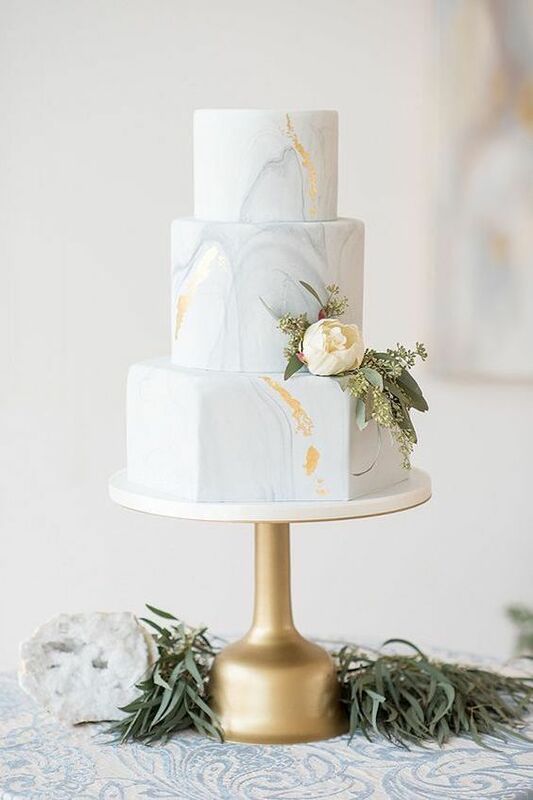 Taking a cue from geology, marble wedding cakes are definitely having a moment in the cake world. By Cotton & Crumbs. 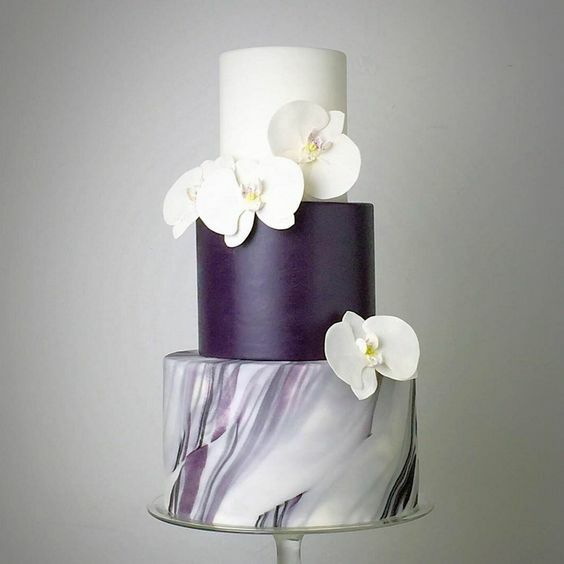 A striking purple marble wedding cake with gorgeous sugar flowers. Wedding cake inspiration. 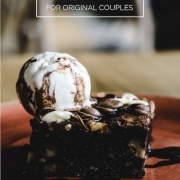 Couples are currently requesting their bakers for confections inspired in their favorite candy. 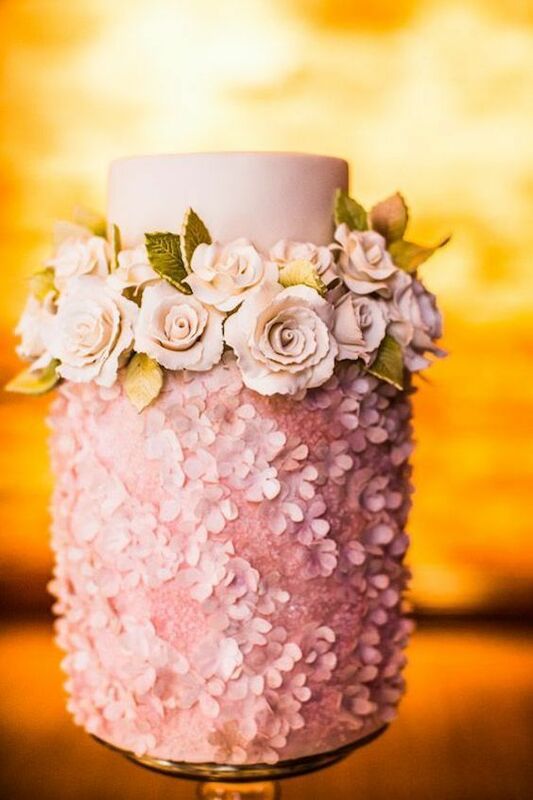 Indulge in the sweetness and uniqueness of these wedding cake trends that will have you drooling in no time. 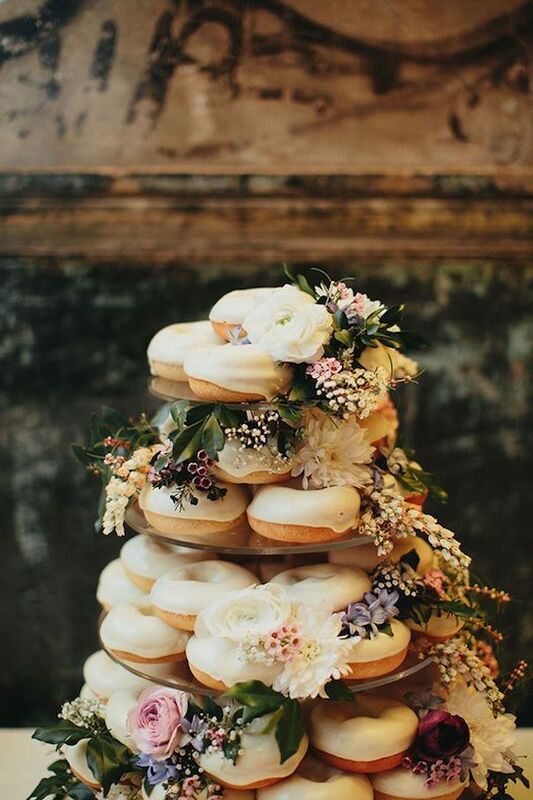 One of the most popular cakes these days (and the one that is most appreciated by the guests) is the donut cake: a mountain of donuts that you can tastefully decorate for the occasion. And now trending, the cannoli cake! Full-on candy explosion over this waffle drip cake for unconventional couples. Would you cut this cake or pull the candy one by one? A wedding cake is the grand centerpiece of most wedding receptions and should reflect your own style. 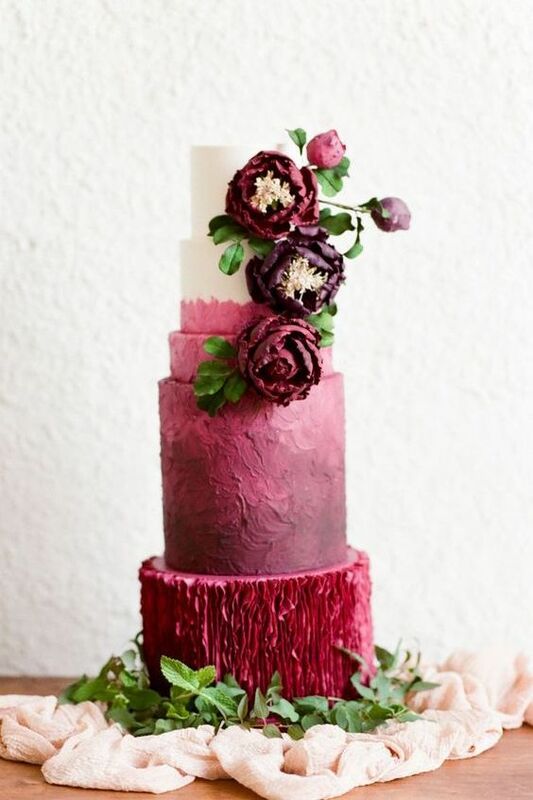 Pick the one that best represents your style out of the latest wedding cake trends! Check out these 45 classy and elegant wedding cakes! 100% edible sugar toppings covering most of the confection. 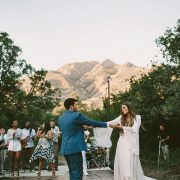 Modern and romantic, we are in love! Add a bit of texture to the bottom tier of this scarlet wedding cake and wow your guests! 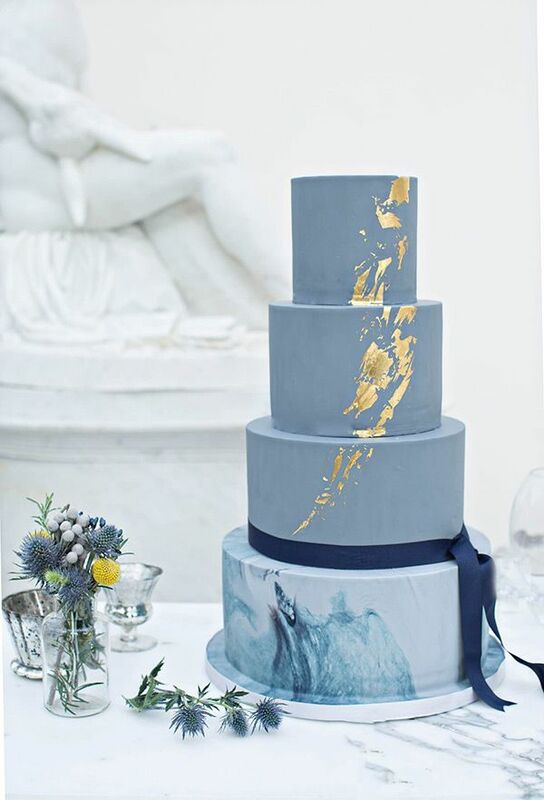 Beautiful dove grey marbled wedding cake with gold leaf details. Doughnut cakes keep on trending. Delicious and affordable. Gold nugget and watercolor cake. A trend towards minerals. 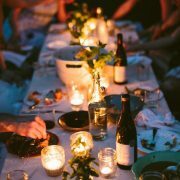 Romantic industrial style wedding inspiration. 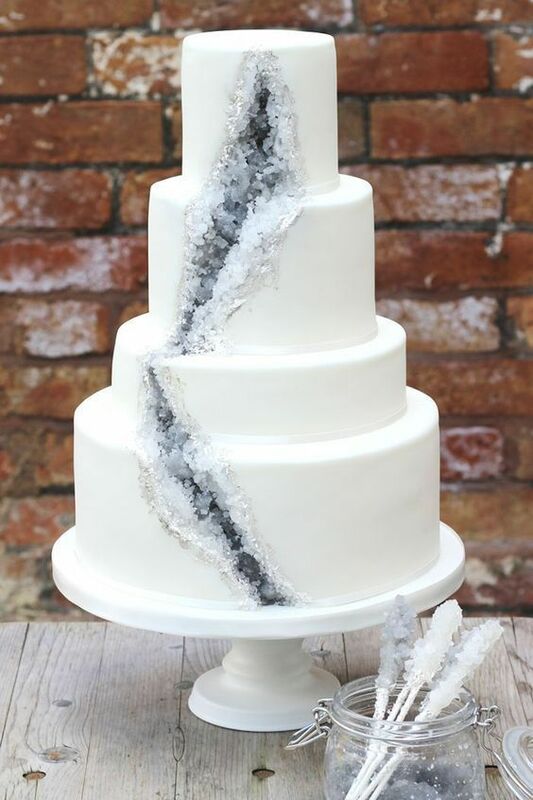 If you prefer a more muted version of the geode cake, how about rock candy crystals in white and grey? 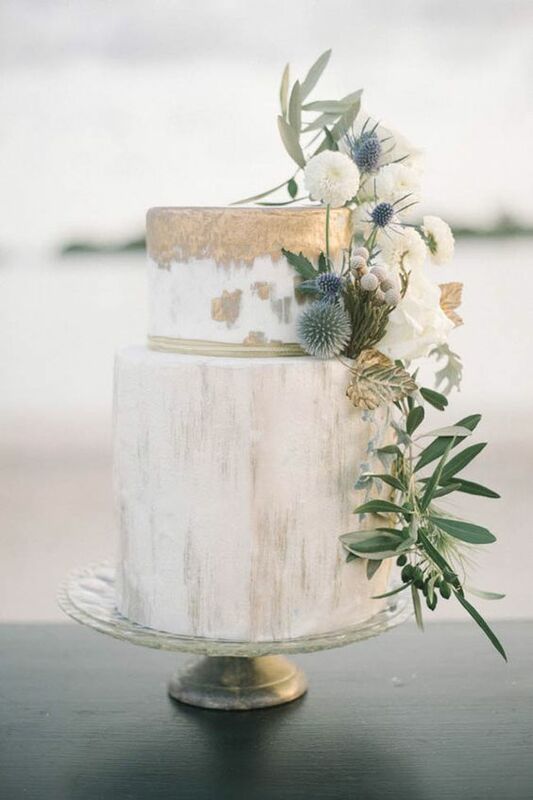 Marbled cakes with gold and greenery mark the trend for weddings this year. Check out this Cannoli cake. Stunning white and navy blue wedding cake featuring a cascade of roses. 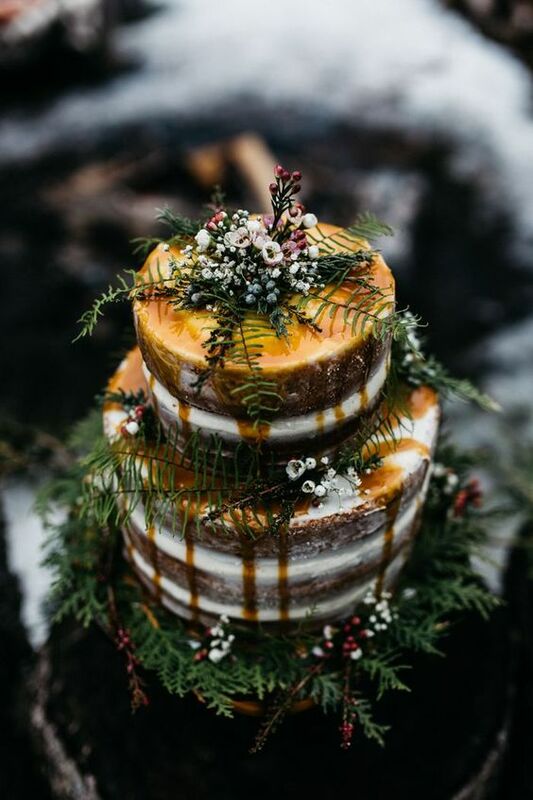 This alternative fall woodland wedding cake features winter inspired florals, a dripping cake and cozy romance! 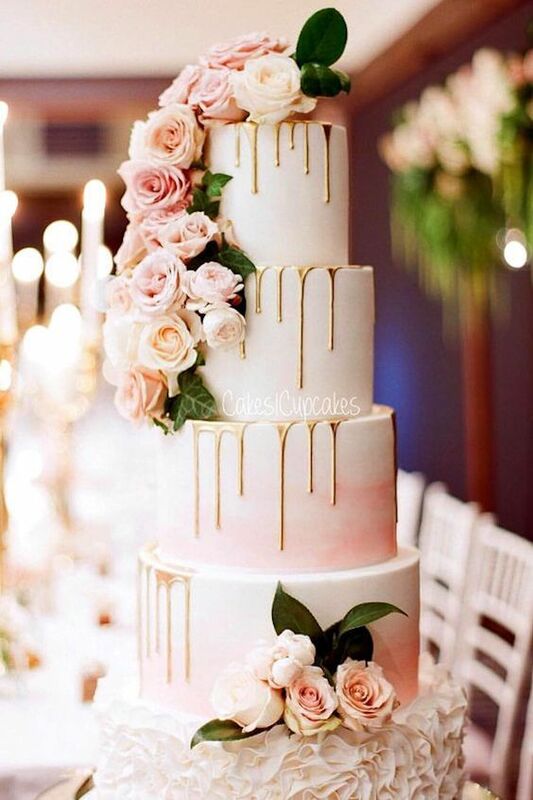 Taking the internet by storm, drip wedding cakes are one of the hottest trends right now. 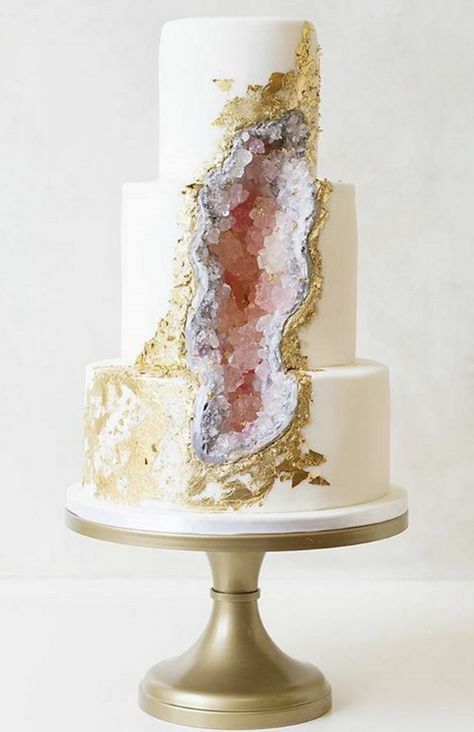 We can stare at this geode cake for hours. Photographer: Claire Marika Photography. 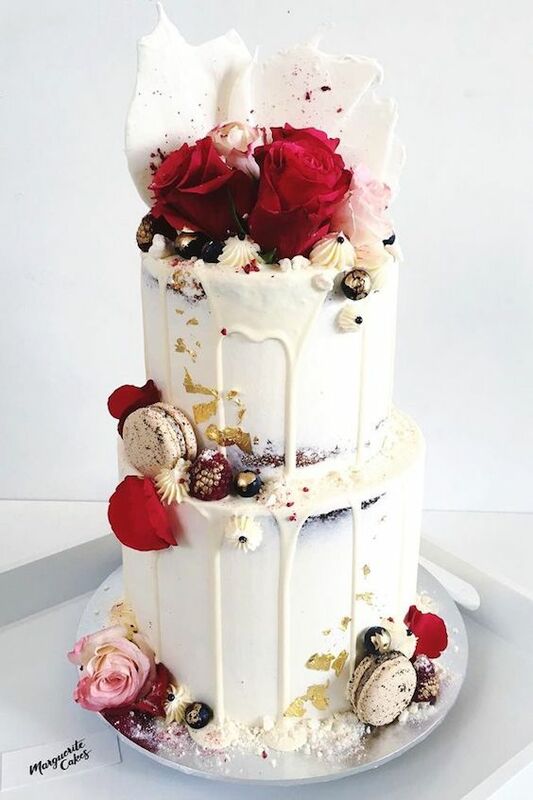 White chocolate ganache drip cake with macarons. 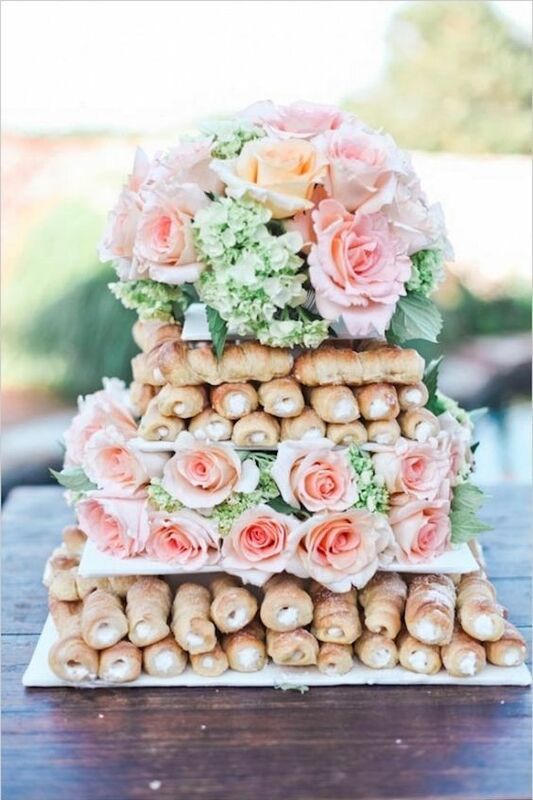 https://bodasyweddings.com/wp-content/uploads/2017/06/alternative-fall-wedding-cake.jpg 846 564 Bodas y Weddings https://bodasyweddings.com/wp-content/uploads/2019/01/bodasyweddings-logo-byw.png Bodas y Weddings2017-07-22 18:48:122019-02-20 13:24:06Wedding Cake Trends That Will Have You Drooling in No Time: Check Them Out!